Artur Marecos Parreira is a Ph.D. in Health Sciences – Quality of life in the workplace and organizations, from the Abel Salazar Institute of Biomedical Sciences, and validated in Social Psychology of Work and Organizations at Universidade Federal Fluminense, Brazil. 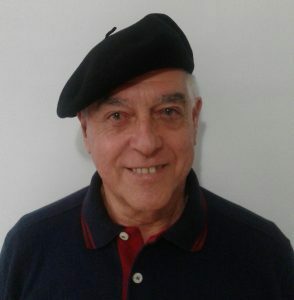 He is currently Coordinator of the Complex Systems Study Group at Santa Úrsula University, Brazil, where he also coordinates Master in Innovation in Pedagogical and Educational Sciences. His current research interests concern the development and sustainability of human systems – both individually and collectively. He also researches methodological approaches, including tools for diagnosis and evaluation of behavior, attitudes and skills, and methods and learning technologies to evaluate education systems in presential and virtual environments.